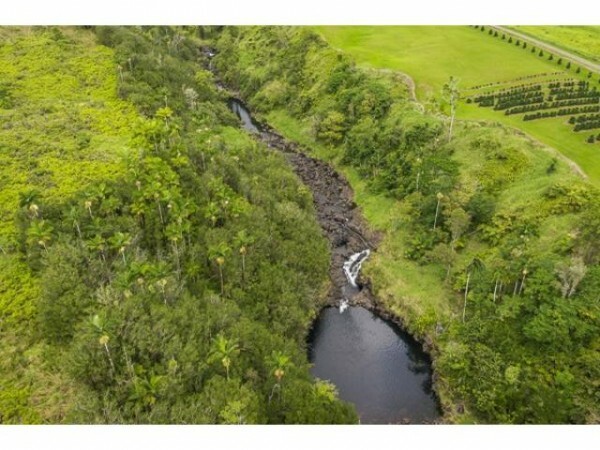 Blessed with rich soil, abundant water, and year-round sunshine, the Hamakua Coast is home to many farms and ranches like this newly listed 20-acre farm for sale in east Hawaii. 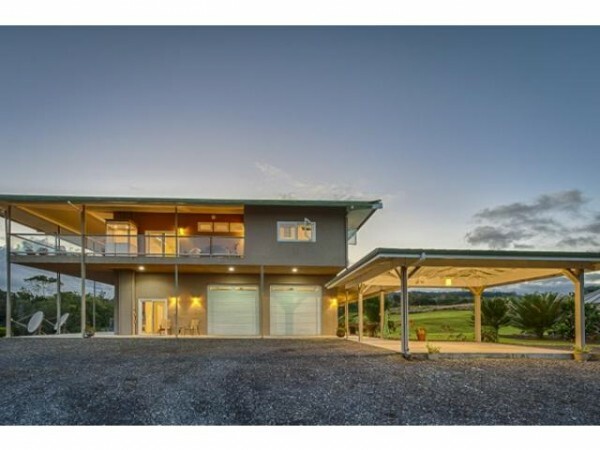 Situated next to Waiau stream in Pu’ueo, this breathtaking property features a gorgeous, custom-built home with 3 bedrooms, 1 full bath, and two half baths, two bonus agriculture and equipment outbuildings, and several hundred coffee, fruit, and macadamia nut trees. 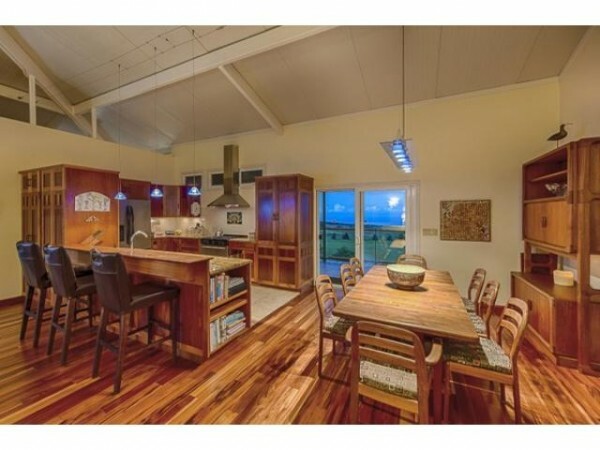 Encompassing 1,912 square feet of living space, this two-story home features many luxurious amenities you might not normally associate with a farm, such as a hot tub, an exterior elevator for home supplies, and covered outdoor shower. There’s a two-car garage, as well as a detached covered carport. What’s more, the home is handicap accessible. Built of quality construction, great thought and care went into the design of this home. The kitchen features custom cabinetry, stainless steel appliances, expansive granite counter tops, and an extra large under-mounted sink. There’s ample room for entertaining with a breakfast bar in the kitchen and an adjoining dining room. Each of the spacious bedrooms feature lots of natural light and ceiling fans to keep things comfortable. The en suite master bathroom features his and her sinks, as well as ample storage. For all the many high-quality finishes that are featured in this home – and there are many – the thing that first captures peoples’ attention is the view. The views are as gorgeous as the house. 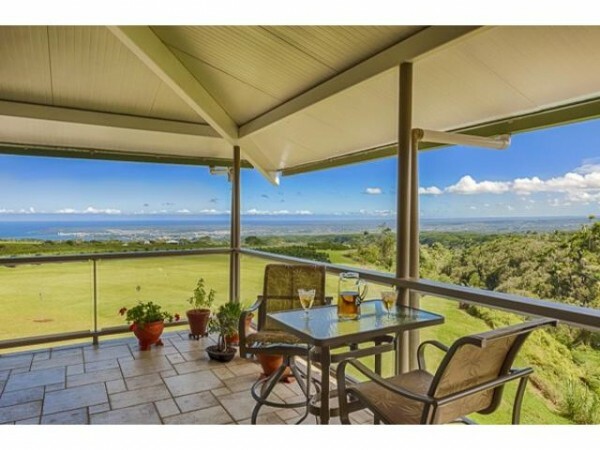 Enjoy sweeping breathtaking views of Hilo town, Hilo Bay, and the Pacific Ocean. The covered lanai enables you to enjoy the ocean views over your morning coffee or relax with friends in the evening and watch the sparkling lights of Hilo town. 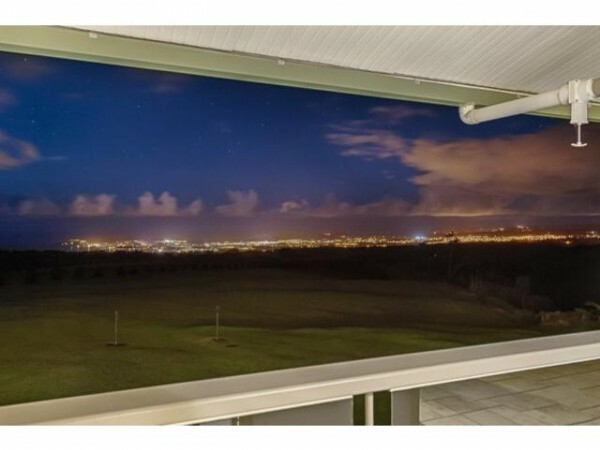 Watch the sparkling lights of Hilo town from your covered lanai. As if that were not enough, the back of the house looks over Waiau stream and waterfall. There’s even a trail and stairway to the stream, and ponds on the lower portion of the property. And while the lush green countryside is pleasing to the eye, equally appealing is the other “green” element of this property. This farm features a combination of renewable energy systems including a 4,830-watt photovoltaic solar power system, a hydroelectric site, and a water catchment system with two tanks. Currently, the farm includes 326 coffee trees with plenty of room for more. There are also dozens of blood orange, navel orange, tangerine, pineapple, lychee, avocado, lemon, fig, cacao, and macadamia nut trees. A 1993, 4-wheel-drive Dodge farm truck is included in the sale of the property. Offered at $1,300,000, this property is an excellent opportunity for those looking for a successful, working farm with room to grow. 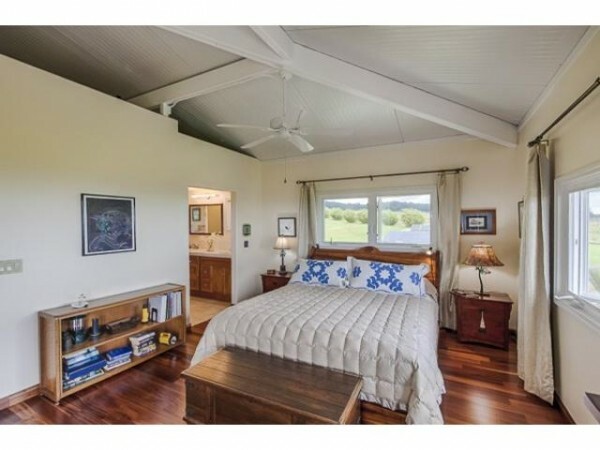 For more information on this East Hawaii property for sale, give me a call today at (808) 963-6880, or email me at BeverlyMolfino@ElitePacific.com.